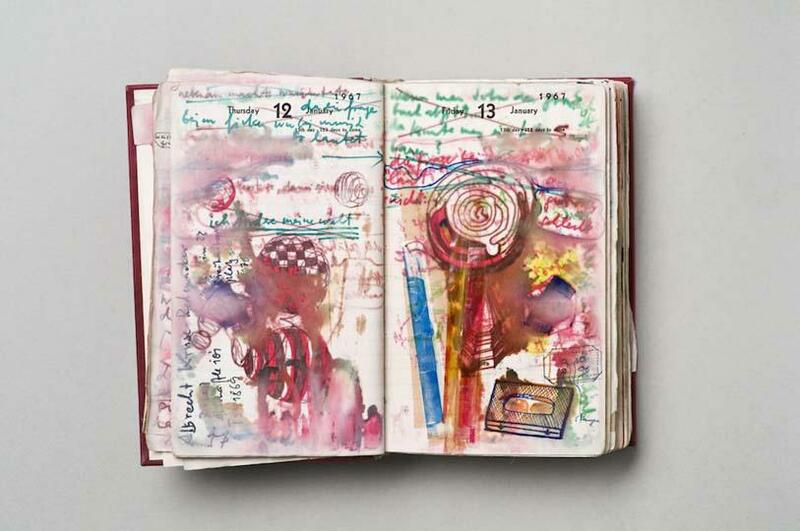 Reviewing ‘Dieter Roth: Diaries’ at The Fruitmarket Gallery was a vertiginous experience, one with a creeping sense of redundancy as my notebook accumulated words at a rate mirroring Roth’s own diaristic outpourings. 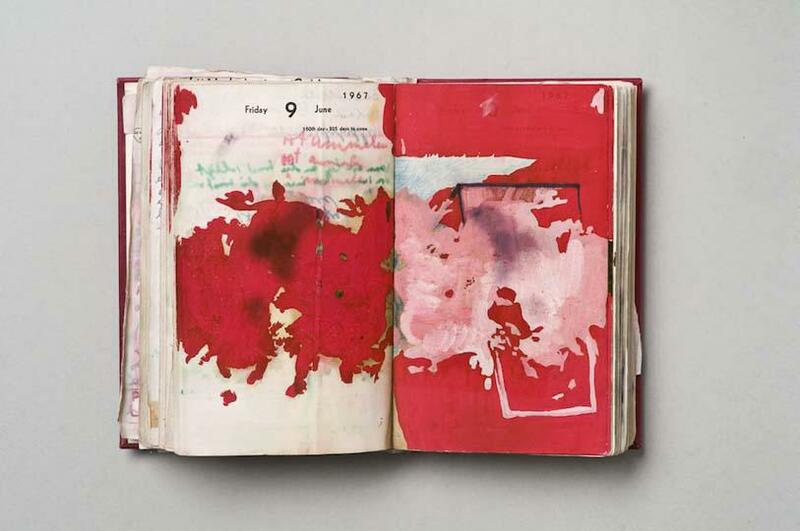 It’s a tall order to keep pace with Roth though: ‘Diaries’ is a testament to the artist’s career-long obsession with the diary form - with the space it provides for marking the passing of time, recording trivia and marginalia, thinking, noting, and doodling - and its centrality to an omnivorous practice that ranged from op-art to iconoclastic food sculptures. 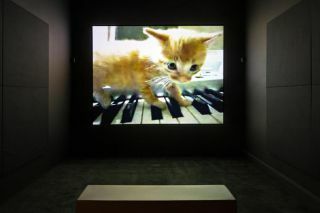 During the last year of his life Roth was constantly at work on ‘Solo Scenes’ (1997-98), a vast video bank of footage gleaned from cameras Roth positioned around his studio/living spaces in Switzerland and Iceland. 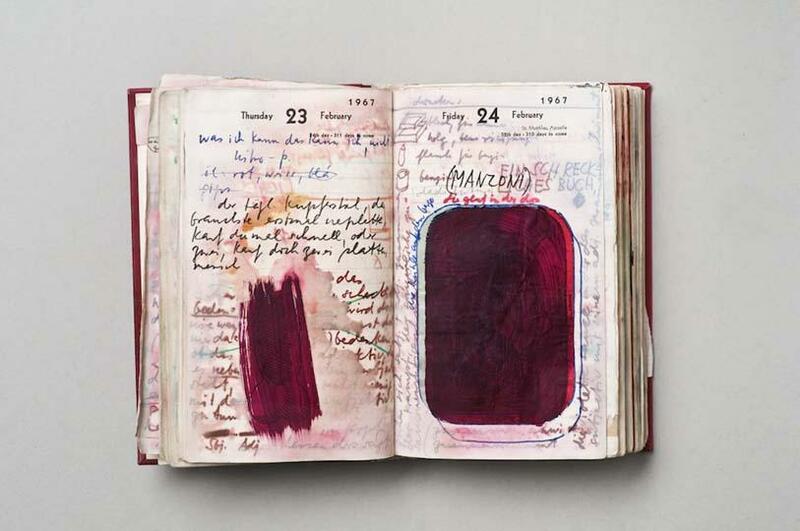 These omnipresent voyeurs tracked his quotidian bureaucracies, revealing Roth, often alone, writing, filing, cooking, sleeping, packing works for shipping, cleaning, reading on the toilet, and sometimes doing nothing at all. 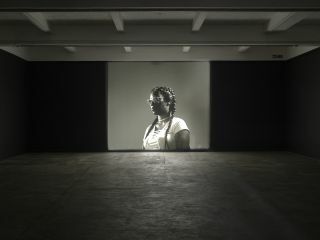 Although resulting in 128 video monitors that glow aquatically in the intimate space of the Fruitmarket’s downstairs gallery, the resulting extended self-portrait is humble rather than egotistical. We frequently see Roth at his desk, anthropomorphic angle-poise lamps tending over his hunched form as he attends to apparently interminable tasks, occasionally emitting a low ‘ufff!’ of weariness. While ‘Solo Scenes’s overall effect is cumulative, there are powerful, beautiful moments. One screen, suffused with dusky purple, records the day’s last light as it catches empty glasses and jars on a table. Another shows Roth hanging a shirt on a drying rack when the timer on the overhead light suddenly flicks it off: Roth shuffles away, leaving the shirt swaying ghostly and shroud-like. As Roth’s son and collaborator Björn baldly states in an interview accompanying the show, in ‘Solo Scenes’ Roth ‘was filming himself dying’. 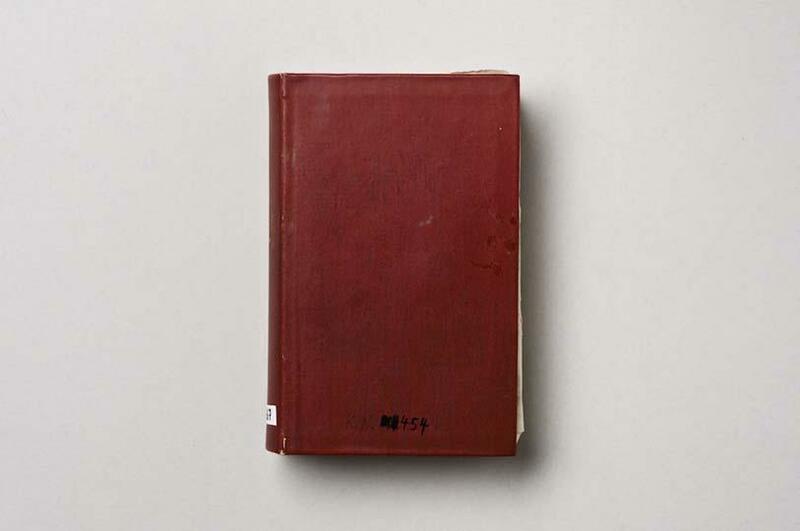 Roth himself could not bear to look at the work. 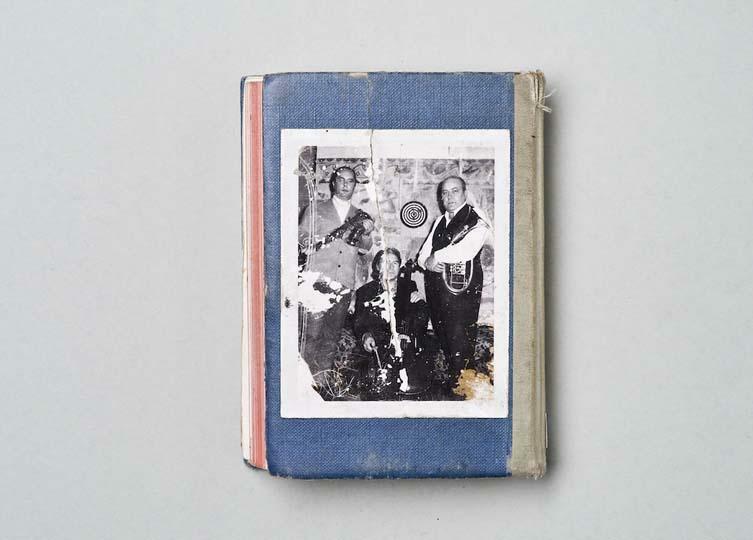 The exposure certainly feels raw, even bleak, especially the shots of Roth curled in whorls of duvet as he slumbers, heavy with an overwhelming sense of memento mori. 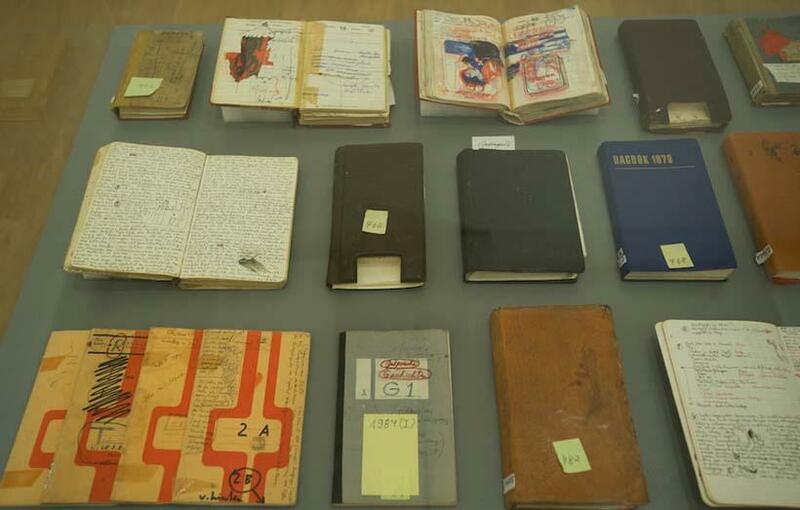 In an adjacent room over 40 of Roth’s diaries lie under a vitrine, like extinct specimens in a natural history museum, some flipped open to reveal tightly packed pages. 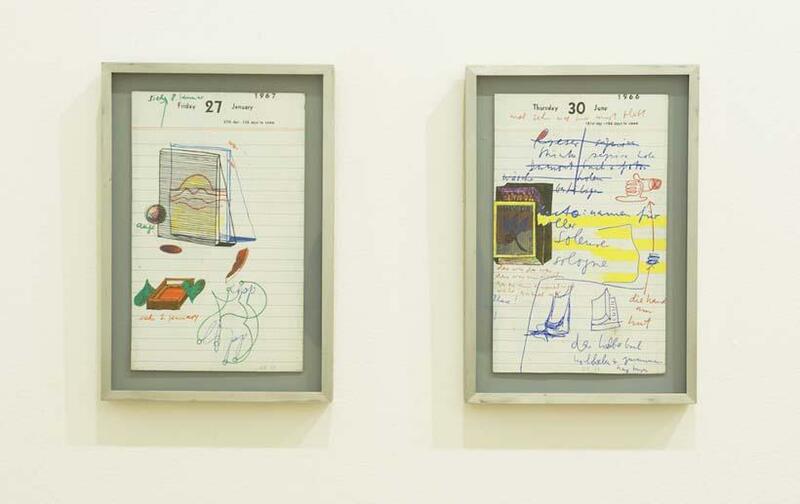 Roth increasingly interwove sections from these diaries into his work - on a wall nearby hang three direct translations, slightly enlarged, of pages from 1966 and ‘67 diaries onto oil panels. 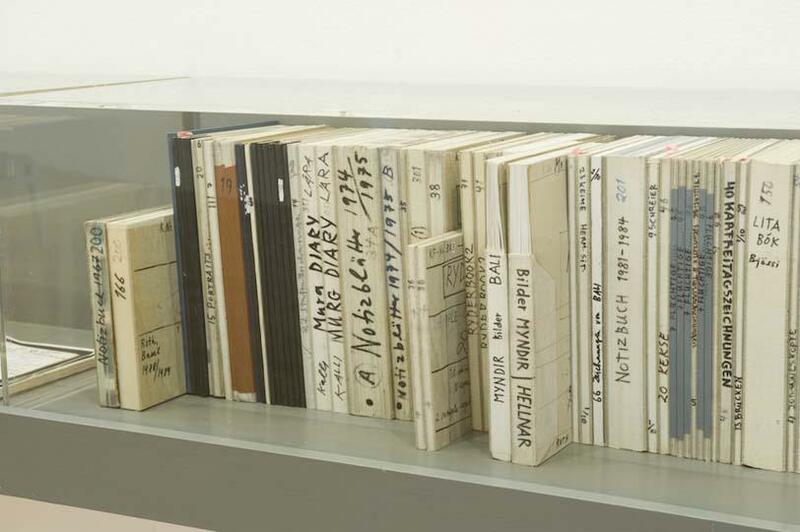 Upstairs, also encased in vitrines, are several of the copybooks that Roth created by zeroxing pages from his diaries, and sent to his friends, together with a second of Roth’s large-scale projects entitled ‘Flat Waste’ (1975-6/1992). 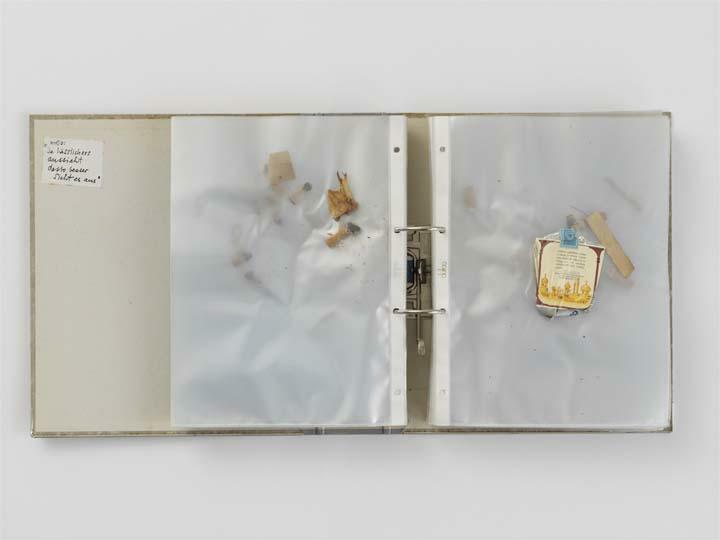 This quixotic, entropic piece saw Roth set himself the task of collecting each piece of waste less than 1cm thick that he encountered every day for a year, preserving it in a plastic folder and compiling these into ring binders. 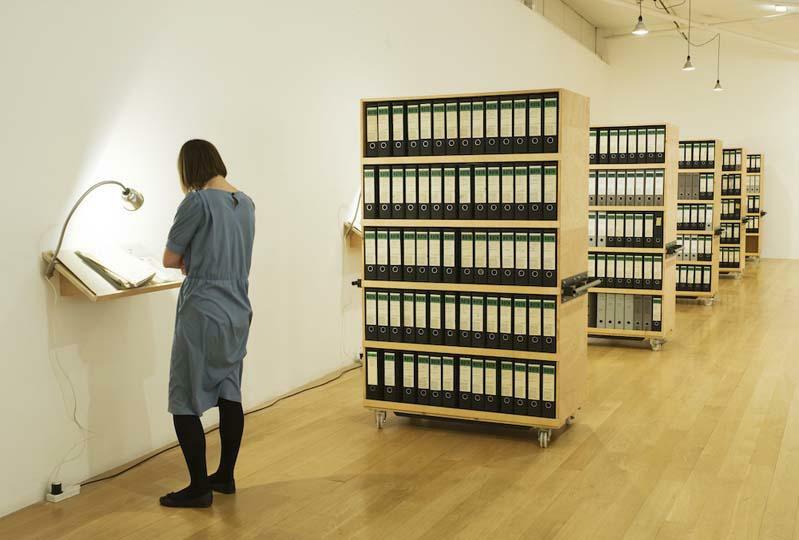 Visitors can flip through sections of this archive - although it’s ironic to find yourself being able to touch and not, perhaps, really wanting to: some plastic wallets are grey with mould, others contain cigarette butts shedding like dead moths, and there is a distinct whiff of decay. 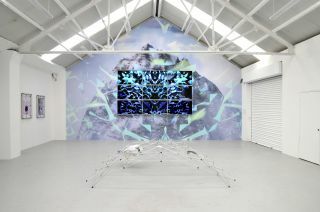 It is, of course, an overt way of questioning what we value and why, suggesting like ‘Solo Scenes’ that everyday detritus can be as revealing and important as what is perceived to be unique and exceptional. 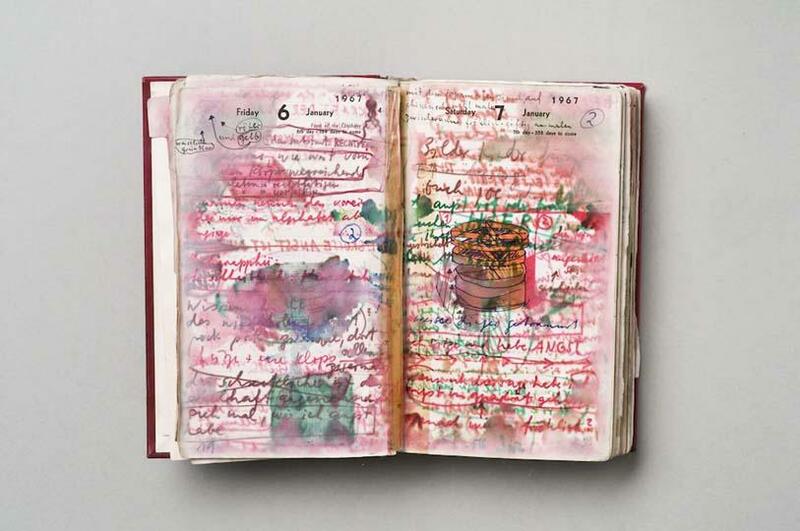 ‘Diaries’ is a sad show, but although the brief glimpse it offers into Roth’s wider oeuvre is sometimes frustrating, it is also a bold one, focussing on the web of ideas and work that lie behind a name such as Roth’s, and implicitly asking where the boundaries of an ‘art work’ begin and end.